weird washington Archives - Hello, Kristina! I’ve always loved ghosts. When I was in about middle school, I discovered this show called “Real Scary Stories”, which was a show where (if I remember correctly) each episode would discuss the history of a known haunted location and then would let locals share their own stories about weird things that had happened there. I looked it up while researching for this blog post and apparently the show only ran from 2000-2001, which is a real shame. Watching ‘Real Scary Stories’ was the first time I had really thought about haunted places existing in real life, and being able to personally visit such haunted places. This was especially made clear when one episode happened to take place at a hotel relatively near to where I grew up. 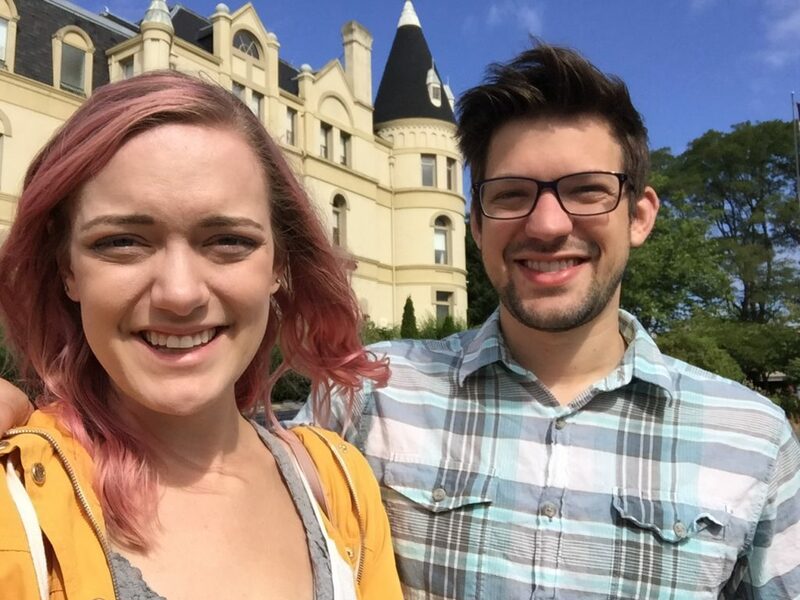 Manresa Castle is located in Port Townsend, Washington (about 2 hours away including a ferry ride), and I was so excited by the idea of this place that I begged my parents to take me there. This is not a blog post about how my parents didn’t take me there, even though they ended up staying at the castle themselves at least twice between then and this past weekend. Mom and Dad, I would not throw you under the bus like that. 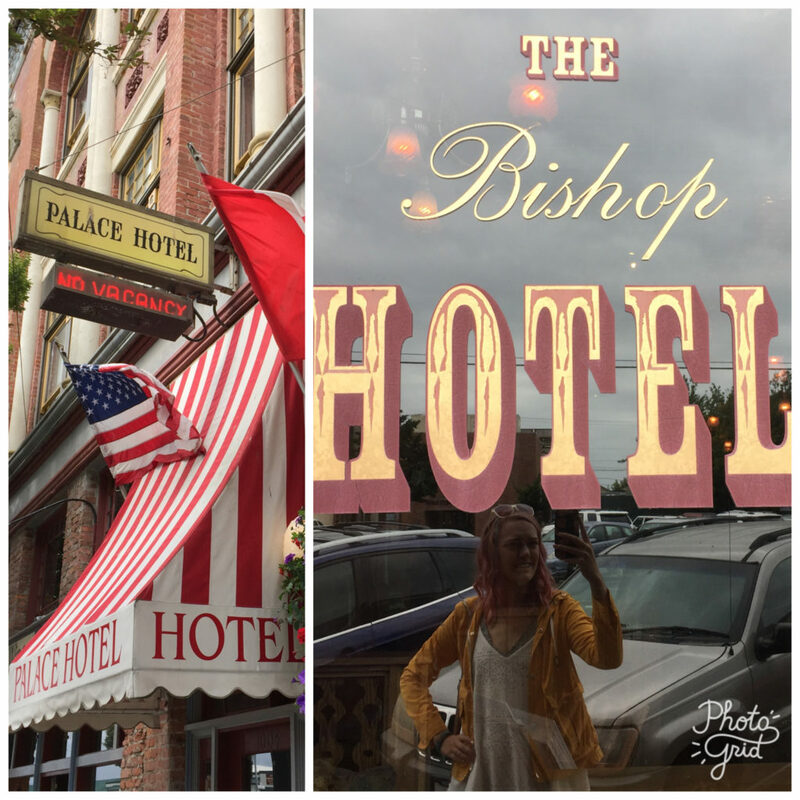 This is instead a blog post about how when, nearly twenty years later, my mom suggested we take a family trip to Port Townsend, little twelve-year-old ghost hunting Kristina burst from within and insisted we stay at the castle. And finally – finally – it happened. Joe is expertly blocking an ugly truck that was really cramping my castle-photo vibe. On Saturday (after copious amounts of wine-tasting with my parents) we arrived at Manresa Castle. It’s a full-fledged castle, it’s old and creepy, and I was super ready to get my spook on. Look at this excellent carpeting. They just don’t put carpeting like this in places without ghosts. The first order of business was exploring. We hadn’t thought to request either of the known haunted rooms (drat! ), but we sure as heck were going to go find them. 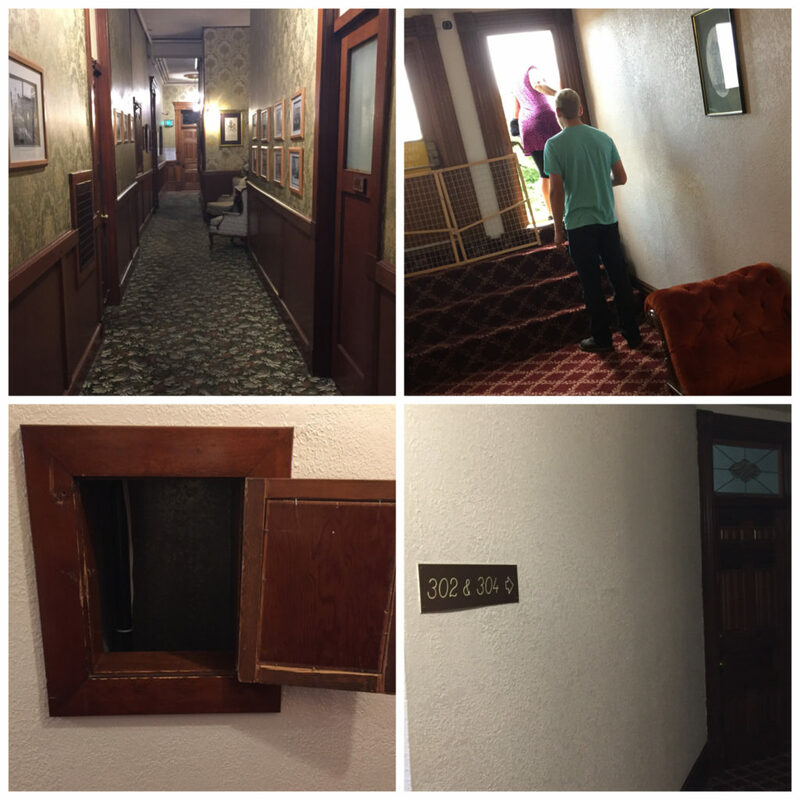 We wandered the hallways, discovered a creepy old laundry shoot (a maid told me it was still in use), and found both the room where a girl apparently jumped from a window when she found out her love was lost at sea (Room 306) and the room right beneath the spot where a Monk allegedly hung himself (Room 302). We even snuck out an open door we found that led to a very sketchy fire escape. And after a thorough investigation, I deduced that the place was scary because it was old, and creaky, and because we wanted it to be scary – but ultimately we couldn’t find anything that made it scarier than any other creaky old building. Even with the weird carpet. Even with the dusty sitting room. I had been hoping for weird sensations or noises, or things moving on their own, but you just can’t make that stuff happen on command. You can’t summon a weird experience just because you drove two hours and rode a ferry, or because you’ve waited for it for nearly twenty years, or because they charge $200 a night for a room. It’s a beautiful castle, don’t get me wrong. It’s excellently renovated, each room is uniquely layed out and decorated, and it’s always a delight to stay in a place rich with history. but it didn’t make the hairs on the back of my neck rise. It didn’t make my skin tingle. I wasn’t afraid to be alone in the bathroom brushing my teeth, and no floating apparition woke me up in the middle of the night demanding I pay some sort of blood debt. It was sort of a letdown. However, that evening after my family had dinner at a delicious Italian restaurant called Lanza’s Ristorante, we gathered at a fountain in town to meet our tour guide for a rousing evening of Twisted History. 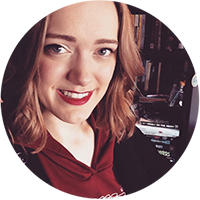 Let me preface this by saying – if it’s not already abundantly clear by this blog post – I love ghost stories. But even more so, I love learning about the dark history of towns, the seedy underbelly of their society, the unexplained horrors of the past. Whenever I visit a new place and have time to spare, I look for ghost tours, or some kind of underground to explore, or anything that will show the darker side of history. I’m fascinated by it. And Port Townsend is apparently one of the top 20 most haunted cities in the country. I had no idea! I just knew they had a castle! The tour was amazing. We learned about how Port Townsend is called the “City of Dreams” because of the early view that it would become the largest harbor on the west coast of the US. We learned about how that dream died when the depression hit, and the Northern Pacific railroad didn’t end up connecting Port Townsend to the ports on the eastern side of Puget Sound. You’ve probably not heard of Port Townsend if you’re not from around here, but have you heard of Tacoma? Or a little place called Seattle? We also learned about the boom of the 1870s to 1890s, when the dream was still alive. We learned about the impressive and horrifying shanghai-ing racket, the brothels, the drinking. We learned about some particularly shady men notorious for the ways they behaved in town (looking at you Captain Tibbels and Mr. Waterman), and a lot of people whose solution to their problems was to burn down the buildings of the people they didn’t like. We learned about a woman whose throat was slit for trying to shut down prostitution. We learned about a young girl who was accidentally shot in a duel between her own father and her lover. We learned about a woman who was burned alive because she owned a hotel after her husband died and the opposing male hotel owners in town didn’t want to compete with a woman. Port Townsend has the most colorful history, full of tragic and unexplained stories. Nearly every story we heard was darker and more interesting than those of Manresa Castle, which led me to question how that’s the one that makes it into the ghost anthologies. 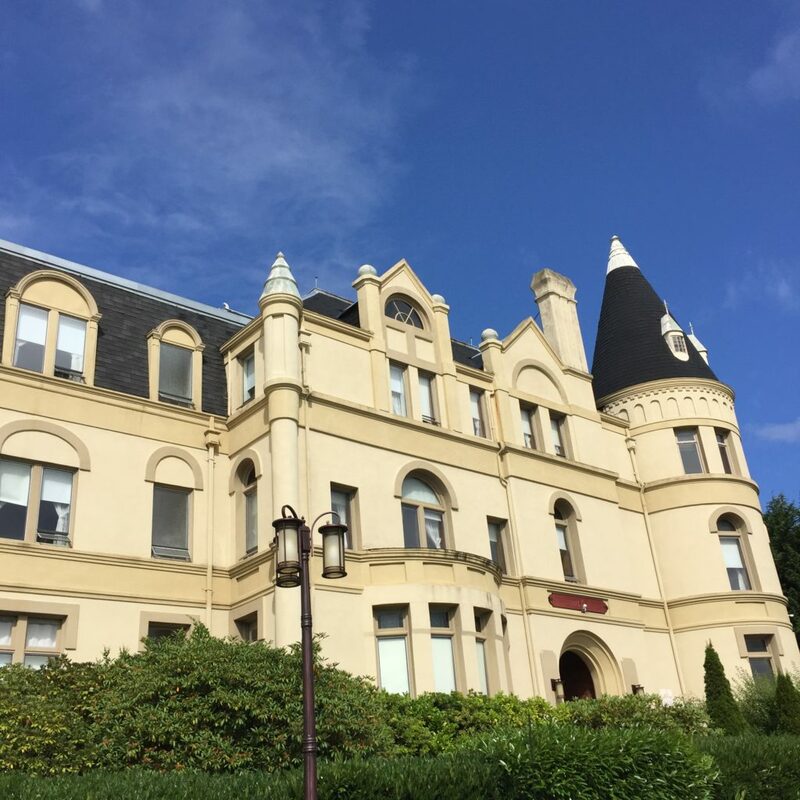 Manresa Castle was built by Charles Eisenbeis, one of the only well-known men in Port Townsend who doesn’t have a laundry list of horrible things he did to build his wealth. Along the tour, I found at least two other hotels way creepier than the Manresa, one of which I’m dying to stay at next time and one I wouldn’t touch with a ten-foot pole (respectively). Left: The Palace Hotel, a former brothel, now historic hotel. Right: The Bishop Hotel, another creepy and restored hotel. The owner collects dresses widowers wore to their husband’s funerals. Suffice to say, the trip was exceptionally fun and interesting, even more so than I could have prepared myself for. I arrived in Port Townsend with very Manresa Castle specific dreams, but I left with an expanded love for the whole city. Everyone I met and talked to was delightful. The food was delicious. The shop owners kind. The man who loves and collects brass bowls enthralled us with his story for nearly an hour. The town was packed with more history than I ever could have hoped for, and with the weekend being so quick, it left me with many more things I want to come back and discover on a future trip. I’ve even got a few of my own story ideas spinning around in my head, dying to get out. Can you imagine renting a creepy little room in a brothel turned hotel to write a ghost story? I have shivers, thinking about it. So thank you, Real Scary Stories. 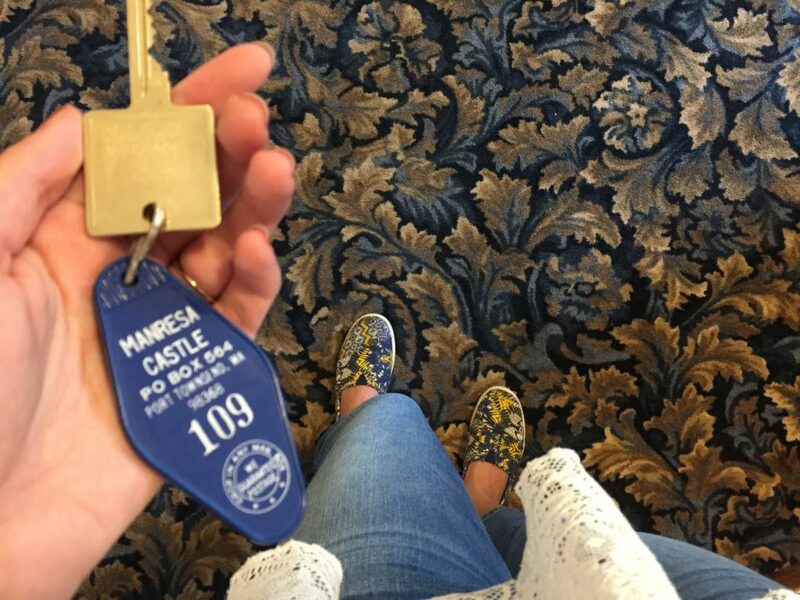 Your show may have only run for two years, but the episode on Manresa Castle was a great pathway into a town I have completely fallen in love with, and granted me more ghost stories than I know what to do with.